Valencia and Real Betis are reportedly one of many clubs keeping tabs on England international Daniel Sturridge. According to the football transfer rumours in Spanish media, Valencia and Real Betis are front runners for Liverpool striker Daniel Sturridge. The England international was signed by Liverpool in January 2013 from Chelsea for a fee of 15.7 million euros. The 28-year-old has a contract until 2019 with the club. Sturridge made 133 appearances across all competitions for Liverpool, scoring 64 goals and supplying 24 assists in return. The 28-year-old is considered to be one of the best strikers in England. His record for England is also impressive. Daniel Sturridge has scored 8 goals in 26 matches for England at senior level. 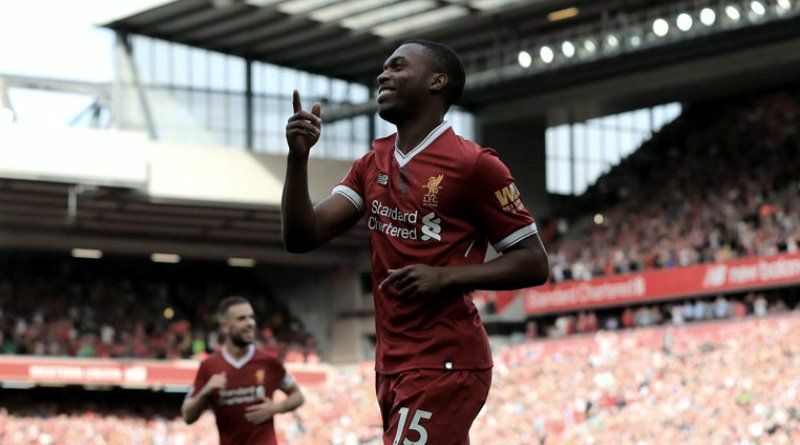 Sturridge is one of the more likely players to be offloaded by Liverpool this winter and the list of suitors in the England international continues to grow. Marcelino is looking to shore up his options and Liverpool’s Daniel Sturridge happens to be a target. Daniel Sturridge has been long term target of Marcelino as the manager look to bolster his attacking options for the second part of the season. The England international is also thought to perfectly fit the profile of striker Quique Setién wants to target in the winter transfer window. Setién is a long term admirer of Daniel Sturridge and believes he can get the most out of the England international. Real Betis will be in the market for just a handful of statement signings who can improve the first-team. According to the report, the 28-year-old has struggled for playing time at Anfield this season, and is said to be willing to move to Europe for regular football. High-flying Valencia and Real Betis are both keen on the England international striker with a loan deal a possible option. Liverpool would be highly unlikely to sell at an affordable price for the Spanish duo but a temporary move could be agreed next month. Will Daniel Sturridge be a Valencia or Real Betis player soon? Only time will tell.